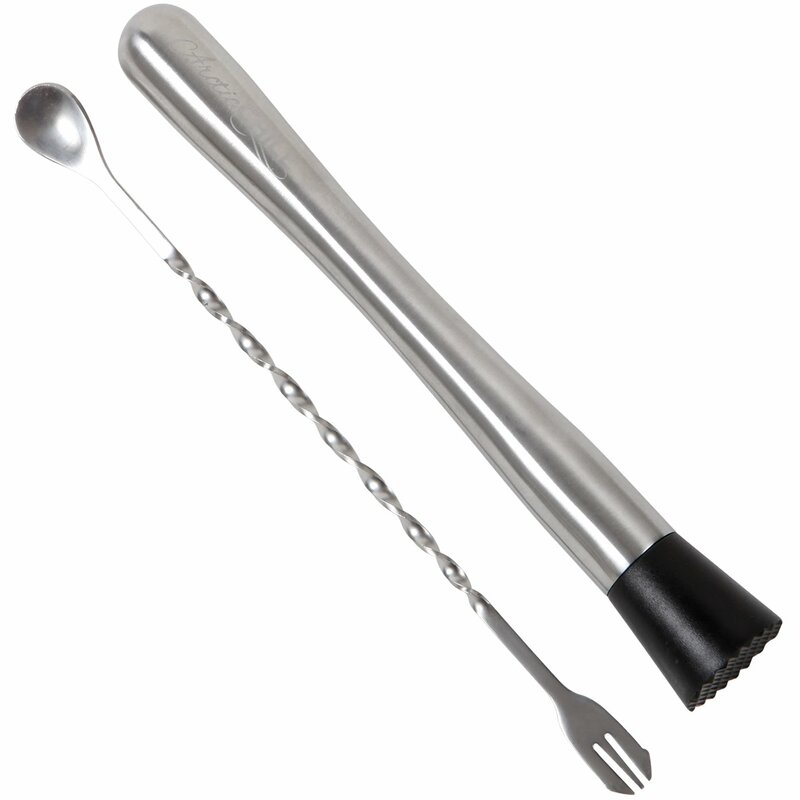 Home › Home and Kitchen › 10" Cocktail Muddler & Mixing Spoon - Make Flavour Bursting Cocktails With Ea..
10" Cocktail Muddler & Mixing Spoon - Make Flavour Bursting Cocktails With Ea.. The Arctic Chill 10" muddler allows you muddle citrus fruits, herbs & other ingredients for cocktails absolutely bursting with flavour. It's essential to have the right tool when doing any job thats why the Arctic Chill Stainless Steel Muddler is a must have to make perfect cocktails! The grooved nylon head is perfect for mashing citrus fruits, herbs and spices WITHOUT leaving residue. DO NOT buy a wooden muddler that will leave lacquer residue behind in your drink. Perfect for making Mojito, Strawberry Basil Mojitos and Ginger Rogers to name a few! All Arctic Chill products come with a lifetime guarantee, don't buy cheap alternatives! Package Quantity:1 | Size:0.5 LB Fed up of having poorly made cocktails?Then look no further... Make sure every cocktail is bursting with flavor withthe Arctic Chill Stainless Steel Muddler. It's excellent for mashing citrusfruits, herbs and spices to ensure your cocktails come out just perfect. Sowhy choose Arctic Chill? Here's the benefits... -Grooved head designed tofinely mash citrus fruits, herbs and spices! -10" body allows you to muddlecitrus fruits, herbs & other ingredients directly in the shaker withoutscraping your hand on the side. -Stainless steel body with polypropylene head!-Dishwasher safe (hand washing recommended)! Lifetime Guarantee You want amuddler that's going to last right? Stop looking around and buy from the best,Arctic Chill personally guarantees their muddler will last a lifetime! So whatyou waiting for click the 'Add to Cart' button now at the top of this page andenjoy flavor bursting cocktails for the rest of your life.